A deeply personal film from Alfonso Cuarón and a cinematic tour de force. Despite the fact that most of the film covers everyday life, through the lens of Cuarón it feels intimate and moving. The camera, the wide shots, the tracking - it is one of the most beautifully-shot films I can remember. Yalitza Aparicio is perfectly cast as we experience life through her eyes. The pace is slow and deliberate, but still provides plenty of emotional punch. I'm not going to claim it my personal favorite, but from a technical standpoint it is pretty much flawless and for Cuarón, a definite high point in an already-impressive career. ‘Roma’ is poetic film making at its finest. One of the beautiful and unique movies of 2018. Such an experience that after it was over, I struggled to utter a word. A masterful portrayal of joy, loss, betrayal, birth and heartbreak. I’m honestly flawed by this. I cherish these type of movies. I love the long tracking shots that lets the audience soak in the environment and scan every corner of the frame. The cinematography is so stunning and evocative, it implanted a image forever stuck in my mindset. Every frame is so carefully precise, I could make a picture frame out of them and hang up on a wall. 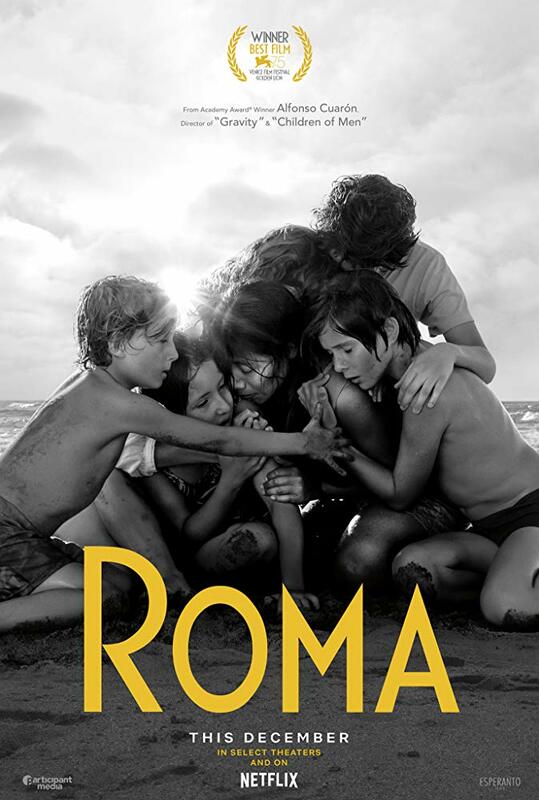 Roma, Alfonso Cuaron's latest masterpiece, is one of the most beautiful films I have ever seen in my life -- a personal, powerful portrait of a woman named Cleo, a young domestic worker who aids a middle-class family in 1970's Mexico City. It's a story about life -- one woman's life alongside an ordinary family, and the string of difficulties and emotional aching that Cuaron presents around Cleo is absolutely captivating in its realism and raw emotion. No posts have been made on this movie yet. Be the first to start talking about Roma!